"What's stylish, warm, cuddly and costs more than a car?" Taking a cue from our friends over at SideDish, each week we’ll bring you a glimpse back at D Magazine‘s most fashionable moments. 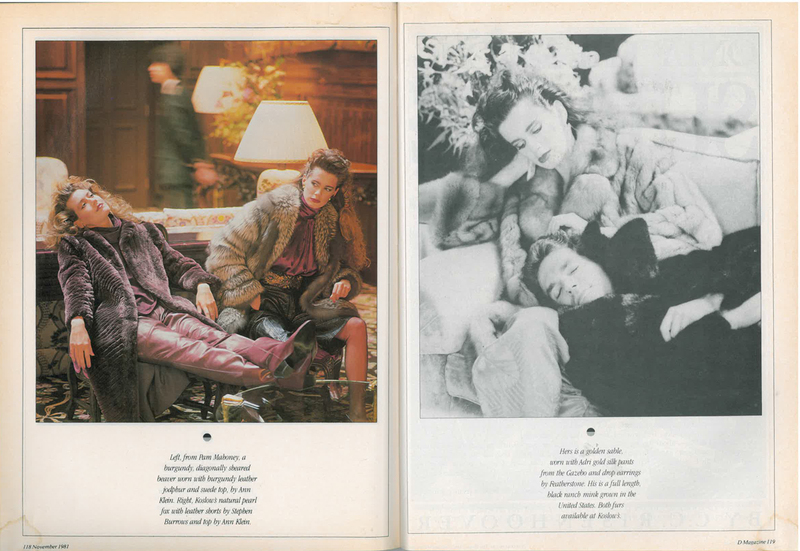 With the recent chill we’ve experienced the past few days, we felt it was only appropriate to bring you exotic and elaborate furs from our November 1981 issue. Furs that “cost more than a car.” Furs “our models neglected other appointments for to stay and model longer,” to be exact. Our winters may be mild, but there will be times–elegant evenings at the symphony, $1,000-a-plate Republican fund-raisers, debutante balls and extravagant dinners at Jean Claude–when nothing but a fur will do. Deliciously impractical, completely unessential. Click on the images to enlarge and take a look back at Dallas’ fashion scene in 1981.